Original 1953 Costa Mesa California Watercolor by Harold M. Young. 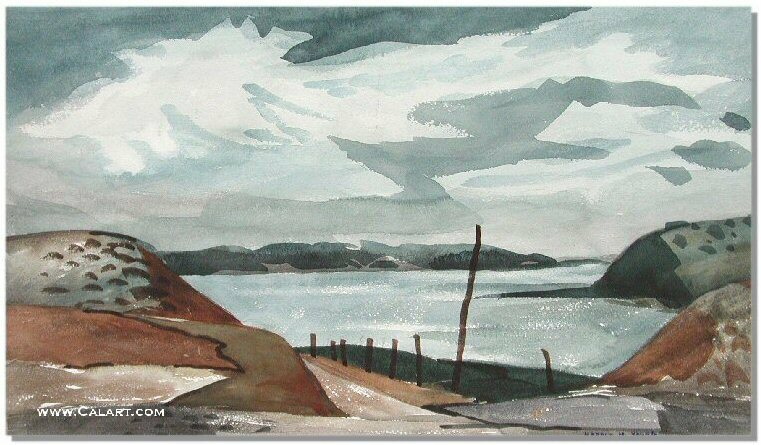 Painting is signed lower right & titled/dated on back "Landscape with water & mtns. Costa Mesa, Calif. July 9, 1953.". 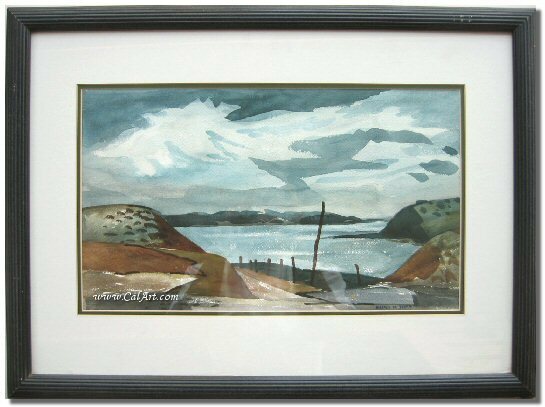 Painting measures 15" x 21" (frame larger) & is in Excellent Condition.